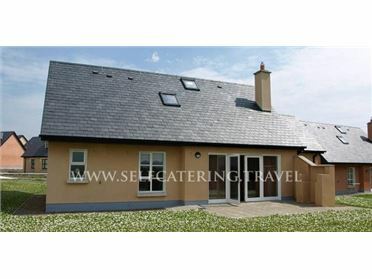 No 2 Bath Terrace is a contemporary, first floor apartment set in the heart of Moville, Ireland. The apartment sleeps three people across one double and one single bedroom, with a shower room. This apartment features a large kitchen, dining and living space with a dining table and chairs and large sofa for relaxing. Located just moments from the centre of Moville and the beautiful Irish coastline, No 2 Bath Terrace is the ideal spot for couples or friends looking to explore the north coast of Ireland. This beautiful coastal town is the first on the Wild Atlantic Way and is set on the Inishowen Peninsula in County Donegal. There are stunning views out across shores of Lough Foyle to Norther Ireland which can be enjoyed from the village green which offers walking trails along the coast, a playground and bandstands in the Victorian style. Electric heating. Electric oven and hob, microwave, fridge/freezer, washing machine, tumble dryer, TV with Freeview, WiFi. Fuel and power inc. in rent. Bed linen and towels inc. Off road parking for 1 car. Two well-behaved dogs welcome. Sorry, no smoking. Shops, pubs, and cafes 2 mins walk. Note: There are eight steps up to property..